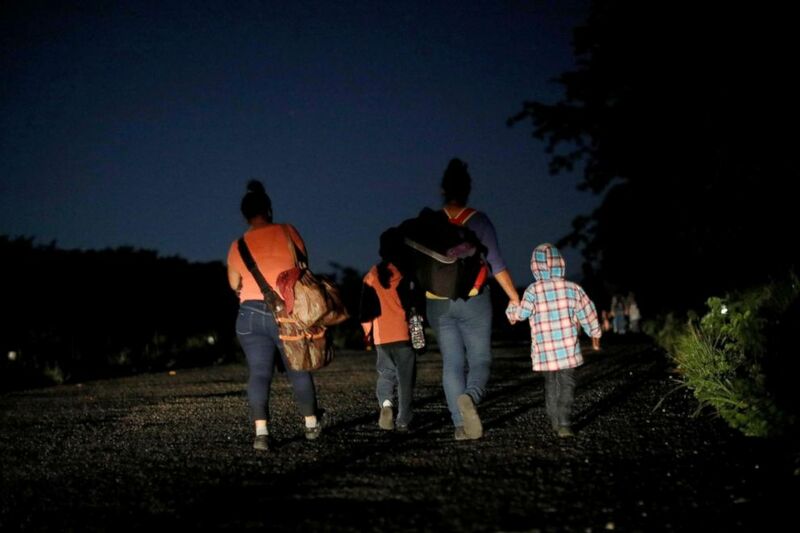 Just past 4 a.m., under a star-streaked sky, the Central American migrants shouldered their bags and picked over broken sidewalks -- first as a trickle, then as a flood -- to the edge of the Mexican town of Mapastepec. They walked straight and without hesitation. Few spoke much. Their compass point was north, towards the U.S.
Their goal for the day was to reach Pijijiapan. The town, 30 miles away, was the next stop on a trek by thousands in a caravan that has so enraged U.S. President Donald Trump he has threatened to close the U.S.-Mexico border and slash aid to Central America. Glenda Escobar, 33, a migrant from Honduras, part of a caravan of thousands from Central America en route to the United States, makes her way to Pijijiapan from Mapastepec, Mexico, Oct. 25, 2018. No one had a torch. Potholes were treacherous. Only the floodlights of the odd truck in the opposite lane of the highway helped them see a few feet at a time. 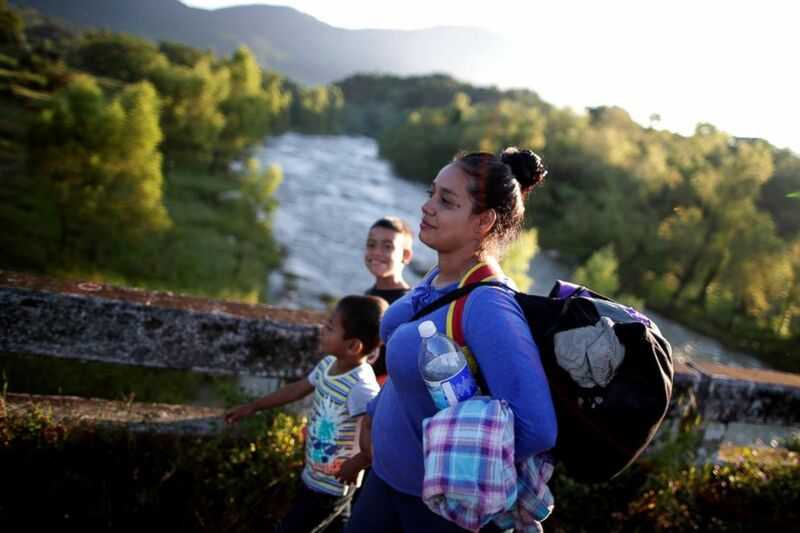 Glenda Escobar, 33, a migrant from Honduras, part of a caravan of thousands from Central America en route to the United States, walks with her children Denzel and Adonai, on their way to Pijijiapan from Mapastepec, Mexico, Oct. 25, 2018. Escobar’s ultimate destination: Los Angeles, a city where she knows no one. "It's because in my dreams, God told me that's where he's sending me," she said. Trump, who campaigned against illegal immigration and won the 2016 U.S. presidential election, has seized on this caravan in the run-up to the Nov. 6 midterm elections, firing up support for his Republican Party. 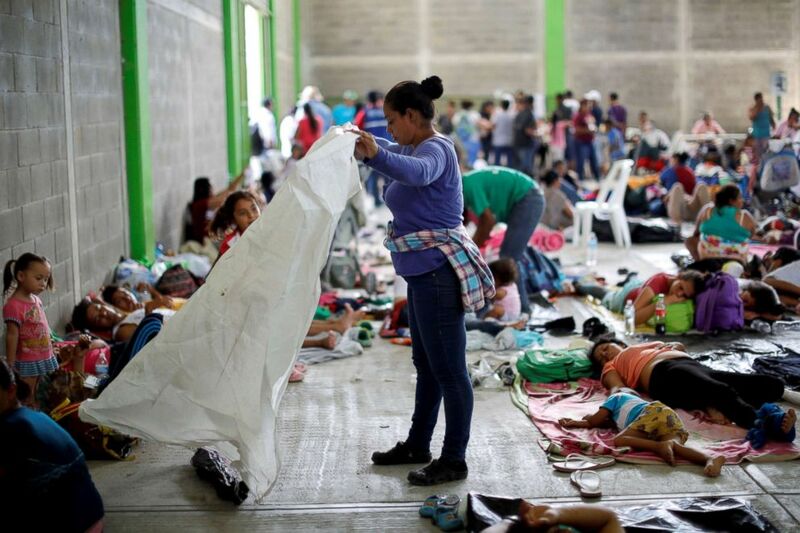 Yet the caravan’s members make up a fraction of the hundreds of thousands of people who every year flee violence and poverty in Central America for the United States. Escobar kneaded her shin. 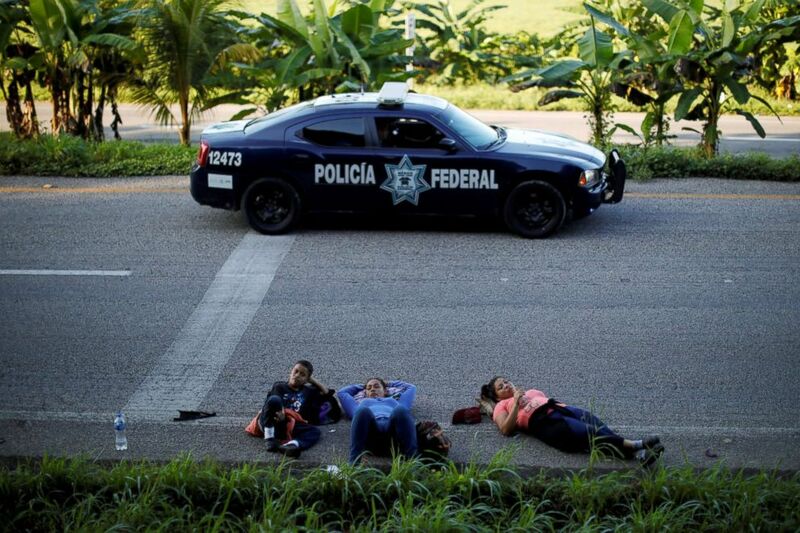 Agile and slight, she used to exercise regularly back home in the crime-wracked city of San Pedro Sula. But even the hardiest person would have struggled to cover the roughly 30 miles every day since she joined the caravan on Oct. 14. Soon the boys watched wide-eyed as dozens, mainly young men, sprinted for the backs of slowing trucks and jumped aboard -- an impossible feat for a mother with two small children. 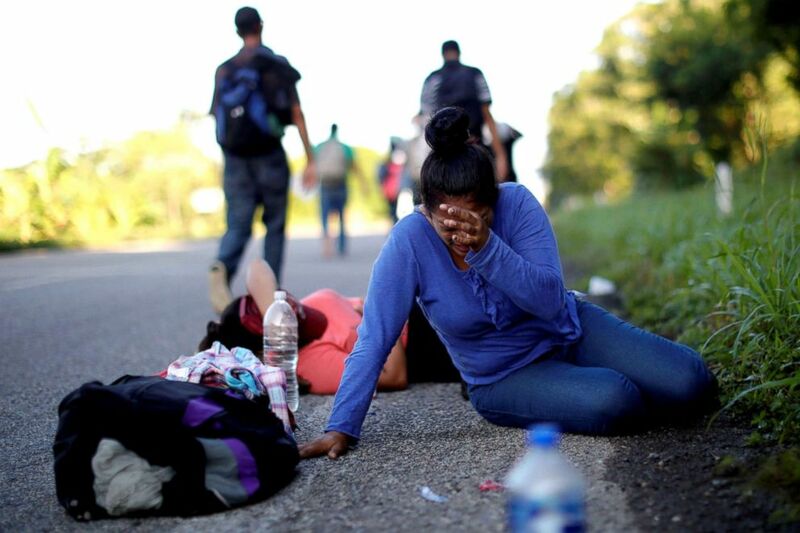 Glenda Escobar, 33, a migrant from Honduras, part of a caravan of thousands from Central America en route to the United States, rests on the road, on her way to Pijijiapan from Mapastepec, Mexico, Oct. 25, 2018. That morning, there had been nothing to eat at the school where they slept on a three-foot square patch of floor, squeezed among dozens of parents with small children. 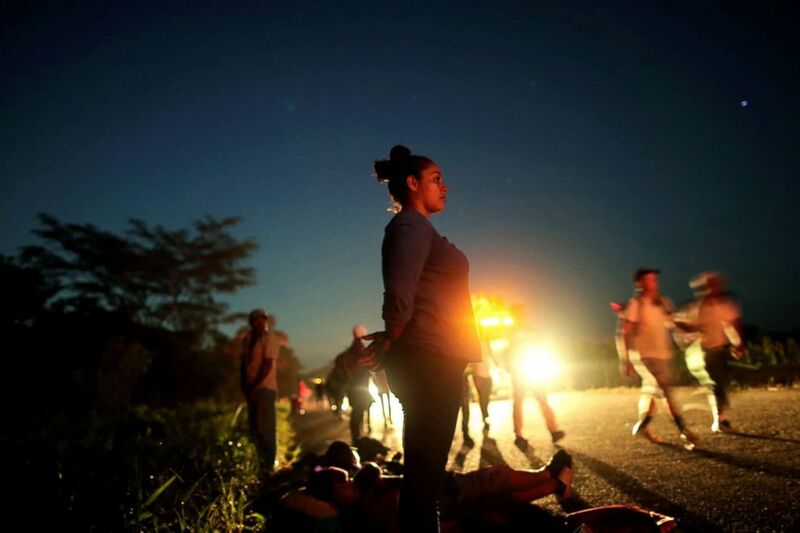 Glenda Escobar, 33, a migrant from Honduras, part of a caravan of thousands from Central America en route to the United States, takes a rest on the road, as she walks to Pijijiapan from Mapastepec, Mexico, Oct. 25, 2018. 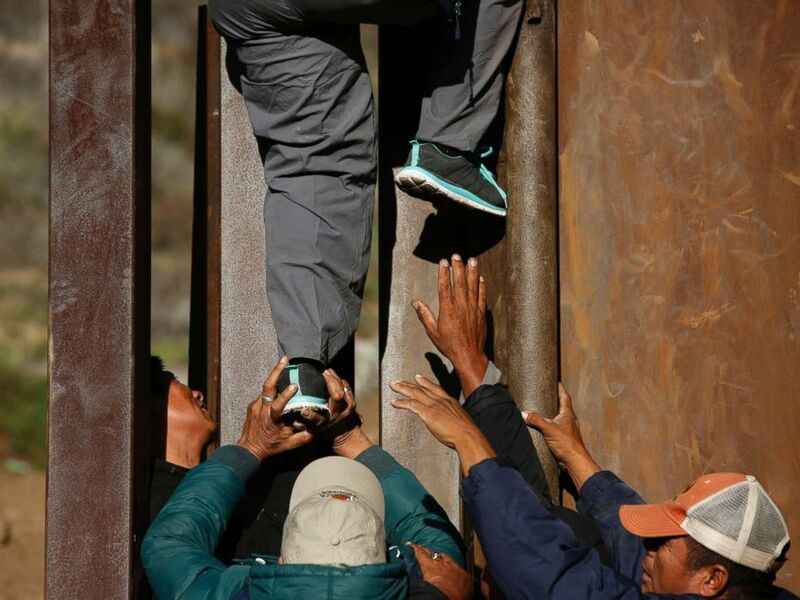 Since entering Mexico, they have been assisted by members of Pueblo Sin Fronteras, a migrant rights group that has guided caravans through the country for several years, including this current one that drew the ire of Trump in April. His broadsides against that caravan have generated enormous publicity, convincing others desperate to leave Central America that caravans are a safer way to travel. Others have begun forming behind Escobar's group. 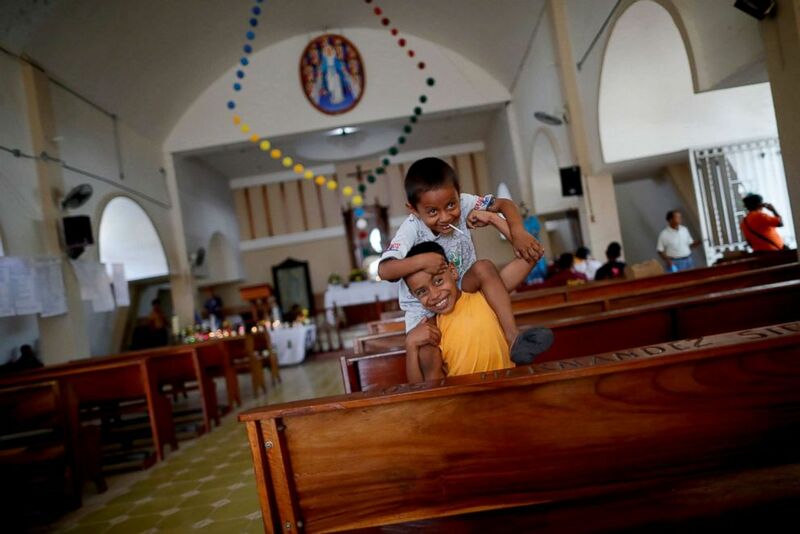 Denzel, 8, and his brother Adonai, 5, migrants from Honduras, part of a caravan of thousands from Central America en route to the United States, play inside a church as they rest in San Pedro Tapanatepec, Mexico, Oct. 28, 2018. The Escobars followed far behind. 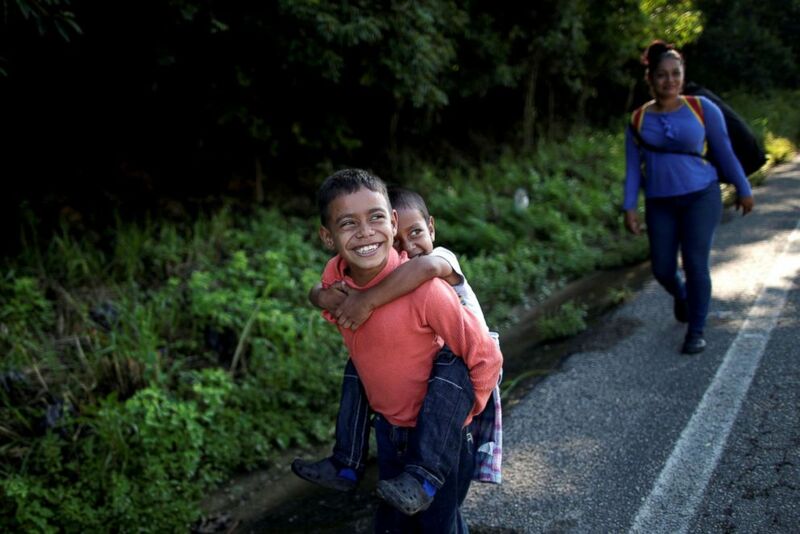 Denzel, 8, holds his brother Adonai, 5, near their mother Glenda Escobar, a migrant from Honduras, part of a caravan of thousands from Central America en route to the United States, as they walk to Pijijiapan from Mapastepec, Mexico, Oct. 25, 2018. 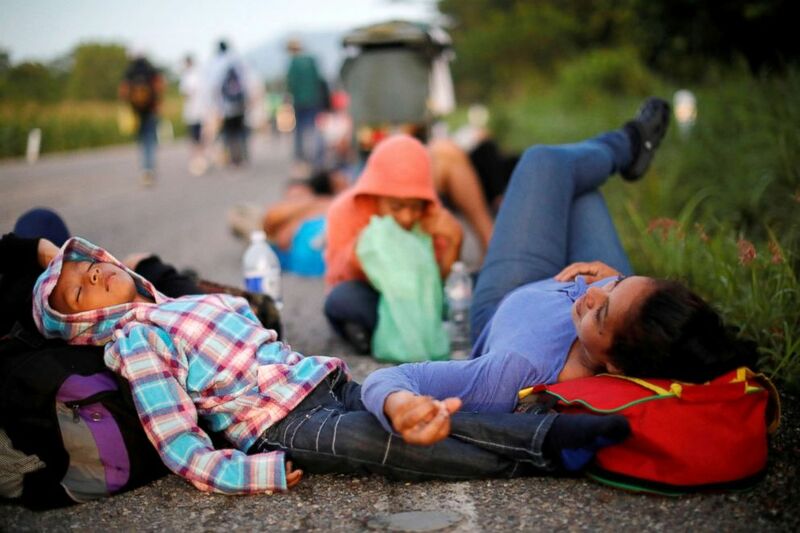 Glenda Escobar, 33, a migrant from Honduras, part of a caravan of thousands from Central America en route to the United State, rests on a road with her son Denzel, on their way to Pijijiapan from Mapastepec, Mexico, Oct. 25, 2018. She raised his girl and had a son with another man. In time, he fled to the U.S., promising to send for her. Within a year, his sister told her he had married someone else. Glenda Escobar, 33, a migrant from Honduras, part of a caravan of thousands from Central America en route to the United States, takes a ride in a vintage car with her children as they walk to Pijijiapan from Mapastepec, Mexico, Oct. 25, 2018. When a neighbor told her about the caravan, she packed fast: a plastic tarp, clothes for the children, some soap. She left her two eldest children with family, hoping to fetch them later. Coordinators have not said definitively when and where the caravan might reach the U.S. border, saying it will likely fragment as many people decide to stay in Mexico. Escobar and her family heaved to their feet. Denzel unfolded a discarded pamphlet that workers from the United Nations High Commissioner for Refugees distributed to the caravan two towns back. 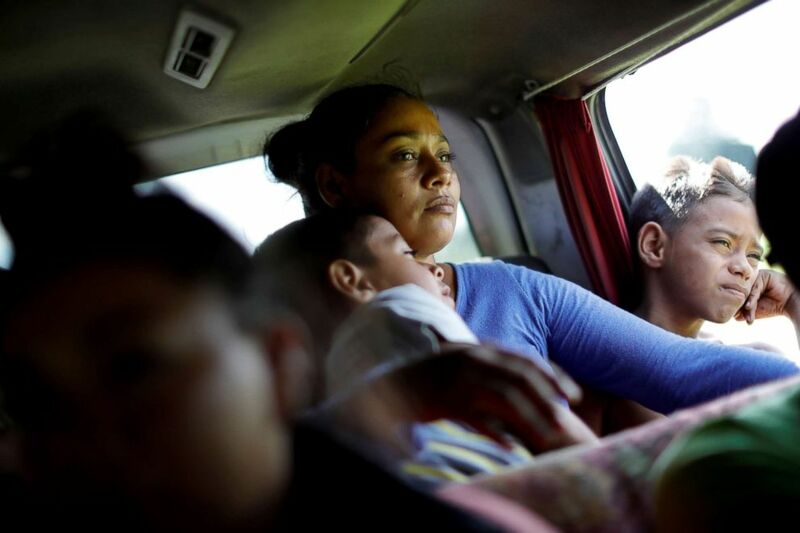 Glenda Escobar, 33, a migrant from Honduras, part of a caravan of thousands from Central America en route to the United States, takes a rest on the road with her children on their way to Pijijiapan from Mapastepec, Mexico, Oct. 25, 2018. Glenda Escobar, 33, a migrant from Honduras, part of a caravan of thousands from Central America en route to the United States, prepares the sleeping place after arriving at a makeshift camp with her children in Mexico, Oct. 25, 2018. A medical aide squeezed iodine on a woman's bleeding foot. People swarmed into the bathroom. Many went for a dip in a river. In mid-afternoon, the warehouse was stifling with the crush of bodies. Escobar searched outside and set her plastic tarp under a tree. Two more stops and they would board a northbound freight train known as “La Bestia” (the Beast), she said. "They're as strong as adults," she said. No problem then, rousing them for the next day's 3 a.m. start. 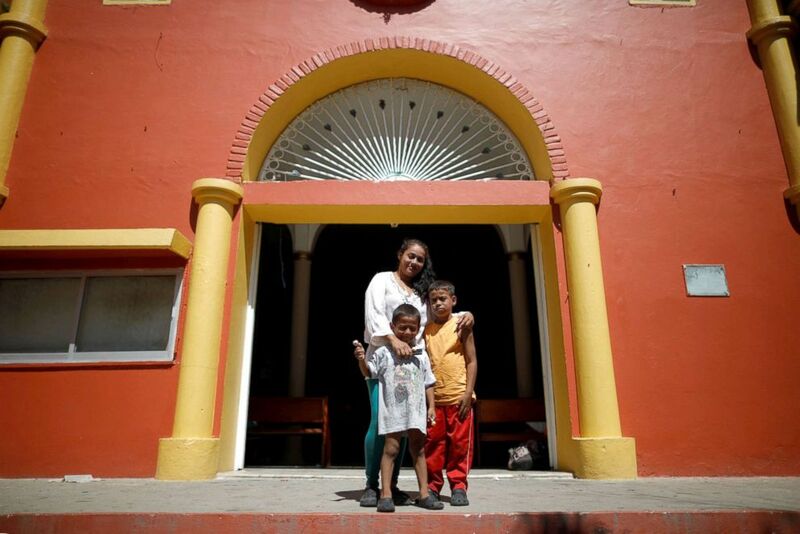 Glenda Escobar, 33, a migrant from Honduras, part of a caravan of thousands from Central America en route to the United States, poses for a photograph with her children, Adonai and Denzel, in San Pedro Tapanatepec, Mexico, Oct. 28, 2018. Reporting by Delphine Schrank for Reuters.